It is almost common knowledge these days that the number of wrongful arrests are incredibly high and with the large number of arrests in general made in the United States, the chances of wrongful arrest is likewise at concerning numbers. Studies have proven that between 2.3 and 5% of all prisoners are innocent. In 2015 alone, 149 people were cleared after having been wrongfully convicted. A South Florida teenager, Deandre Charles, 18 learned this alarming fact when he was arrested by Miami-Dade police for murdering a rabbi in a botched robbery. The teen spent nearly a year behind bars before being released and is now suing the police who wrongfully arrested him. Believe it or not this is the actual sketch used in the case that put this teen away for a year. I can imagine many of you reading this are in shock of that fact and have a similar reaction to this. In December 2015 during a press conference, police said Charles’ DNA was found on both the murder weapon and in the Cadillac SUV used in the getaway, and phone records showed he was near the crime scene. 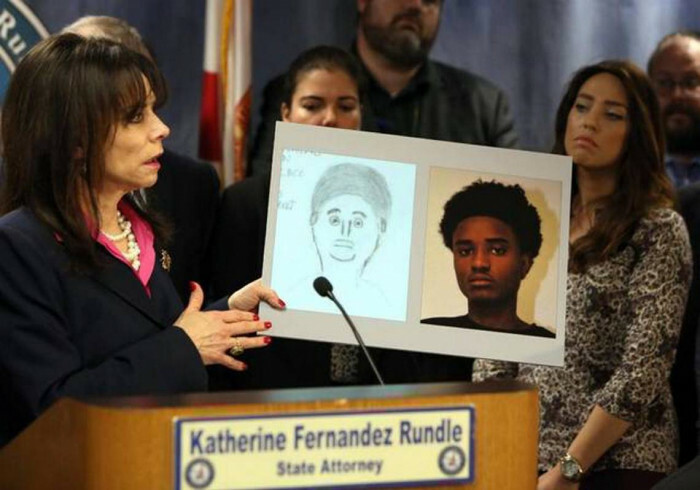 Additionally, an eyewitness who saw two men fleeing the scene identified Deandre in a photo lineup as one of the men. The circumstantial case fell apart almost immediately. Four months after the arrest, Jason Bloch, a then-Miami-Dade Circuit Judge criticized the lack of evidence and ordered Charles released on bail. By January 2017, all charges had been dropped. Because the changes in reporting methods of the Miami-Dade crime lab. It was no longer certain that his DNA was in the SUV. What wasn't uncertain was that he had been in the SUV six days prior when he went for a drive with his brother's friends. His lawyers say he “was wowed by the luxury vehicle”. The DNA samples on the gun fell apart as well as the evidence was "only about 20 times more likely to be Charles’ rather than another person" which is a low number in DNA identification. Also, reputed gang members apparently sometimes stored guns at his home so even if the DNA had undeniably matched this would give a “different and reasonable explanation” for how his DNA got on the firearm. It was later noted that the firearm used had been involved in a robbery the day prior (a fact that Miami-Dade cops knew but did not reveal to prosecutors until months after the arrest). “The fact that the firearm was used the day before the murder in a robbery is highly relevant and supports the defense theory that someone else committed the murder, possibly the same person who committed the armed robbery,” prosecutors said in the final memo. 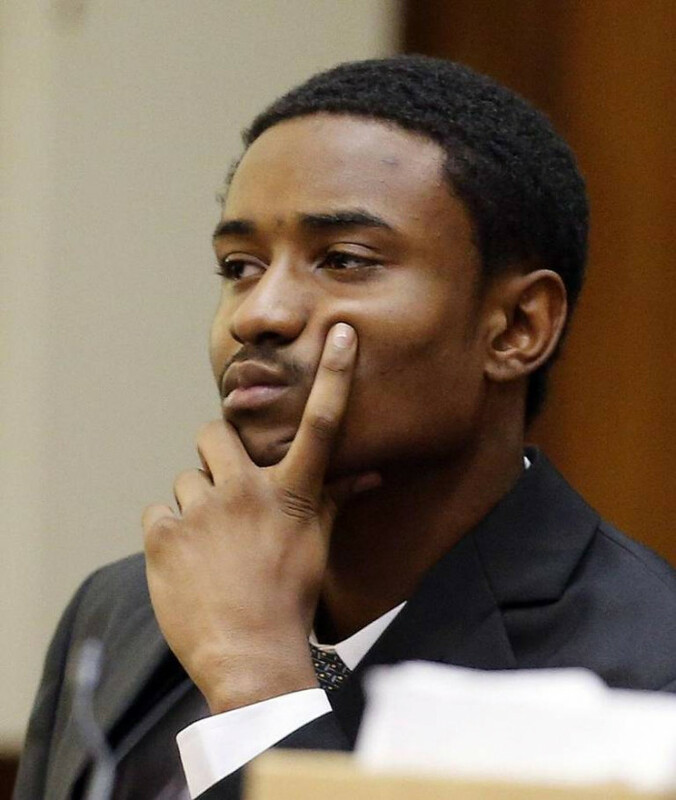 Further holes appeared in the case against Deandre Charles as records confirmed that Charles' brother was in possession of his phone that day. Additionally, not long after the murder took place a witness named Junior Souffrant rang a tip in to Crime stoppers that he had been in an SUV with two men, Kevin Civil and Dennis Parker, who got out of the SUV around the time of the murder. Shots sounded and the men came running back. Souffrant reportedly told police that Civil said: “I just bagged a Jew, I think I’m going to get caught for it,”. There was no mention of Deandre Charles being with them. Kevin Civil later denied to police that he had killed the rabbi although the evidence did suggest that he was guilty. “Although there is an age gap between [Charles] and [Civil], the two closely resembled each other, causing the possibility of mis-identification to be high,” the lawsuit said. The lawsuit stated that Bradjic, the lead detective, “turned a blind eye” to the possibility of anyone else's involvement. It continued by stating that the Miami-Dade police department rushed the case and the press conference as the investigators involved were “so hellbent on closing the murder investigation with an arrest”. Although the wrongful arrest has consumed a lot of his time, hopefully this lawsuit can assist Deandre Charles in moving forward from this horrific experience.